This entry was written by Ben Jenkins, posted on 04/11/2013 at 1:23 am, filed under April 2013 category. 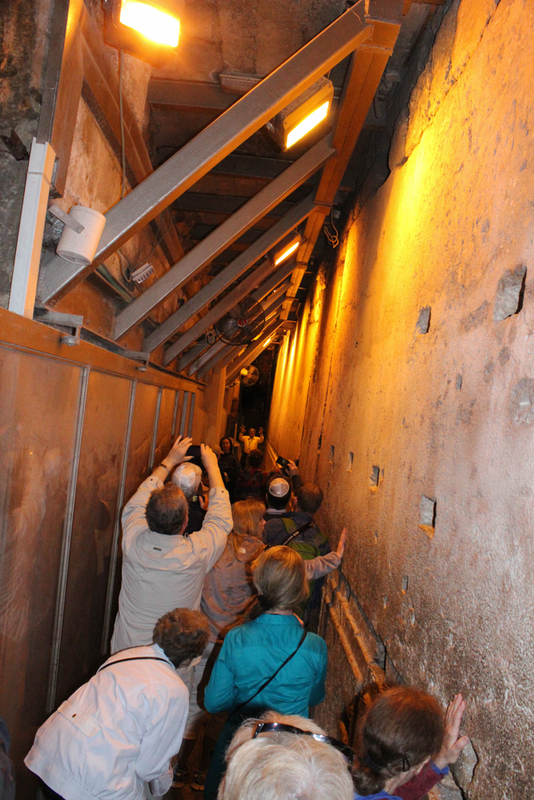 Early this morning, we visit the Western Wall Tunnel which takes us under ground and beside the western wall of the Temple Mount . 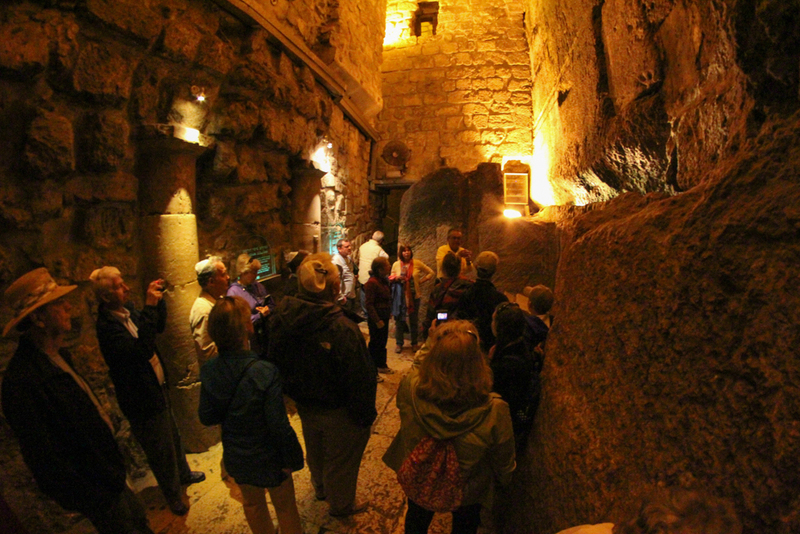 This is an impressive excavation that reveals some of the largest foundation stones of the temple mount. 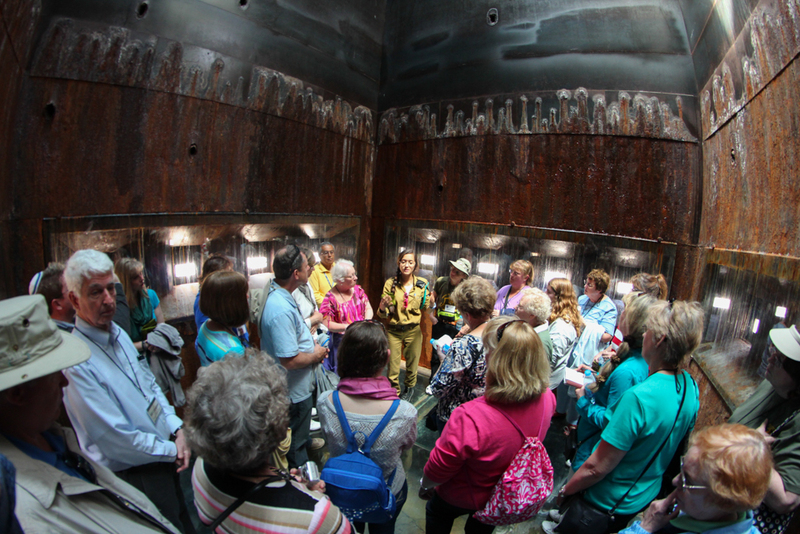 These base stones are incredibly huge – the largest one in the wall weighs 600 tons! What an amazing engineering feat! How did they set that stone in place? 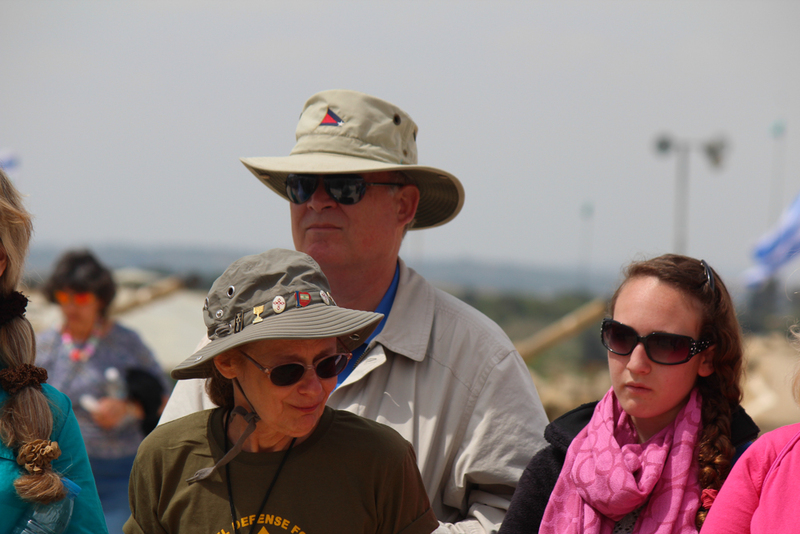 As we walked by the spot that is the closest to where the Holy of Holies would have been, we see some Jewish women praying. When we emerge from the tunnels we see Terrie and Mark waiting with a special gift for Ken. It’s a tallet and kippah. Mark gives it to him and them we circle around him and pray and sing. We next swing back by the hotel to pick up a few of our group who opted to sleep in a few extra minutes. 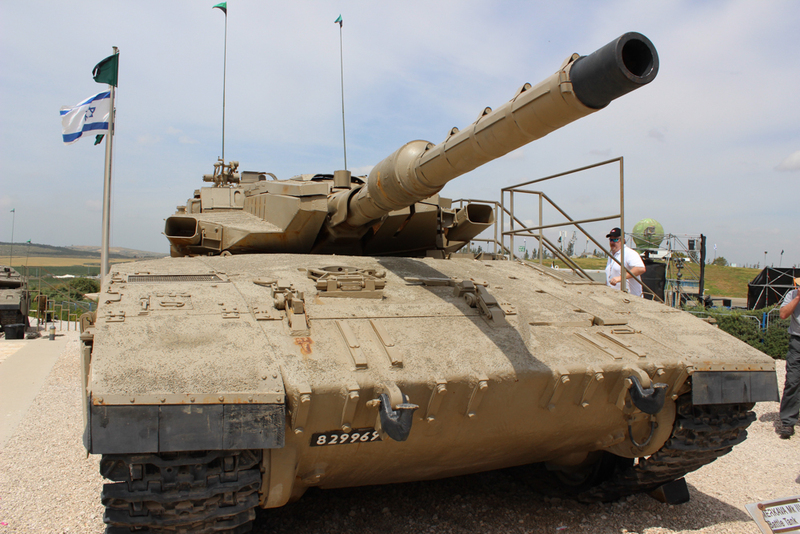 We then head to Latrun, the site of the armor museum which features tanks used by the Israeli Defense Forces (IDF) in the wars to protect Israel. 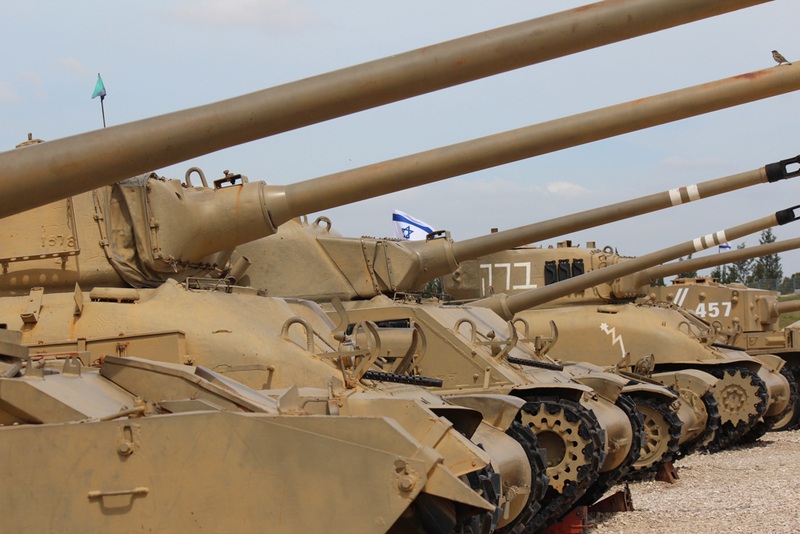 We also saw tanks that Israel captured from opposing forces in many of these conflicts. 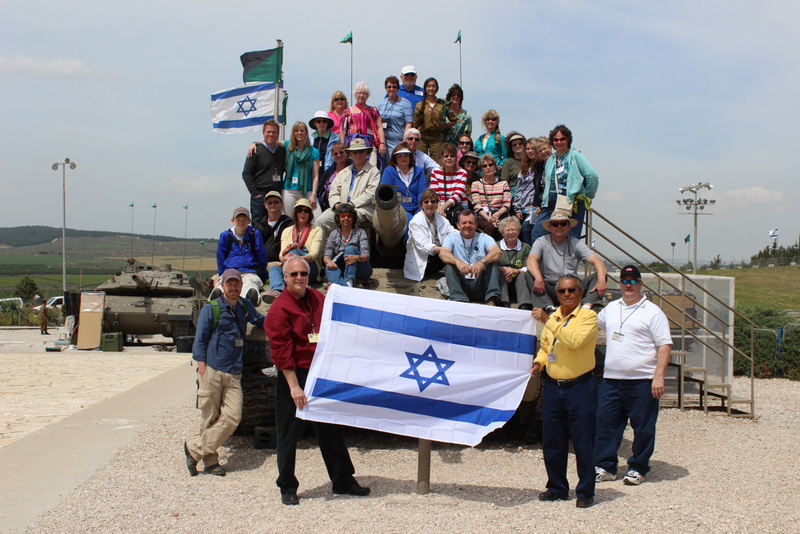 We were able to climb on one of the tanks, a Merkava Mk III, and have a group photo. 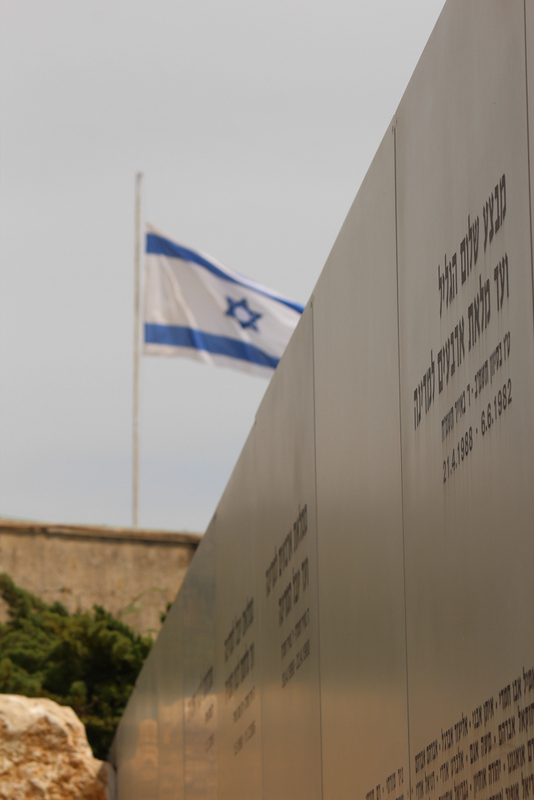 This active IDF base is also a place where the war memorial stands. 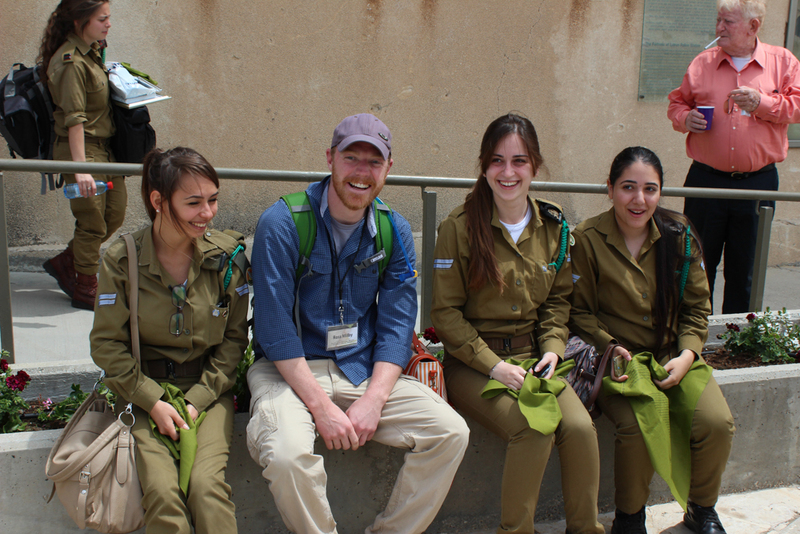 It shows the sacrifice that Israel has made to protect her people. There was a special program for many of the soldiers who were given promotions or special achievement awards. 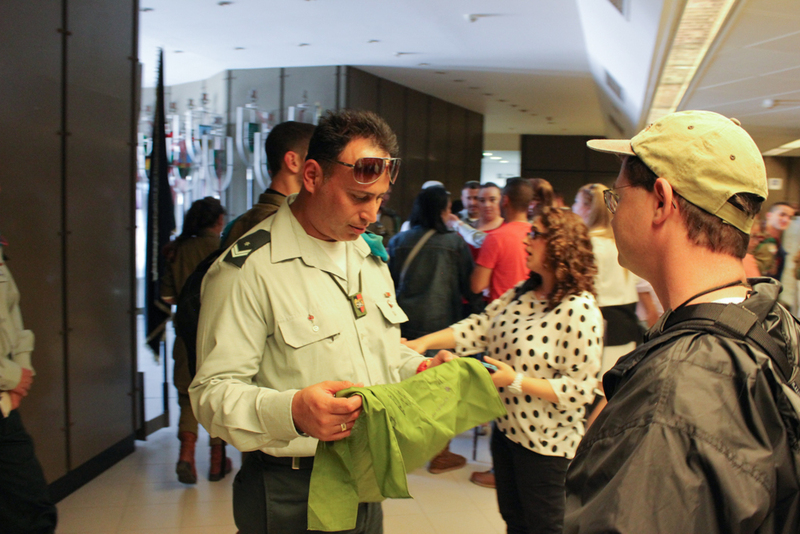 As we talked with several of the soldiers, some of our group handed them a gift, a bandanna with Psalm 91 printed in Hebrew and English. We also thanked them for their service to their country. 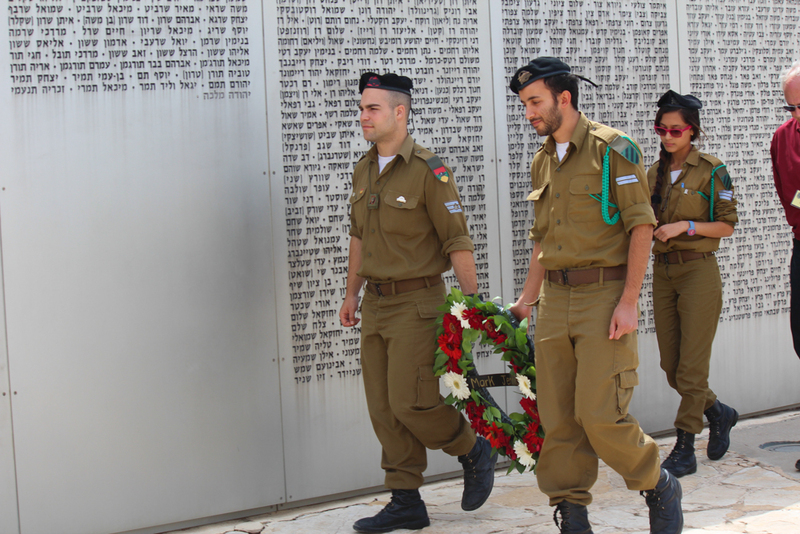 At the Wall of Remembrance, the name of each soldier who has given their life for their country since 1948 is listed by conflict. 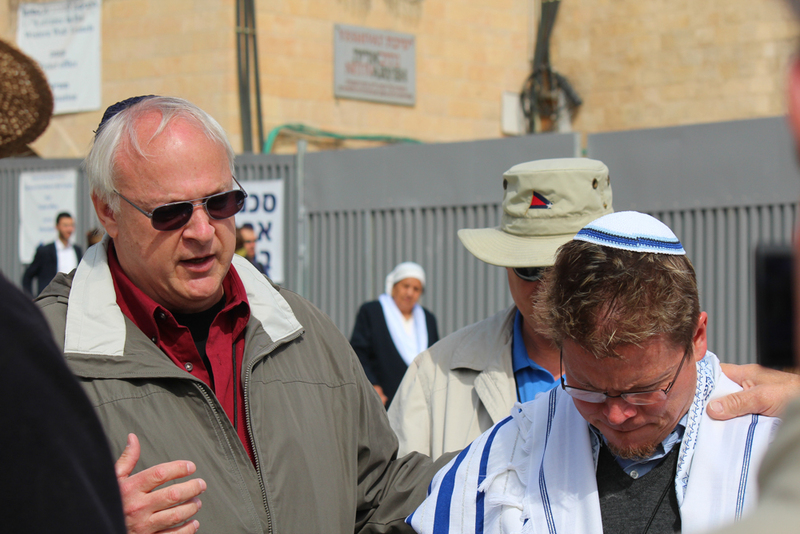 Pastor Mark laid a wreath at the site and we stopped for prayer. We not only prayed for those who have lost loved ones but also prayed for peace that we hope will come someday soon to this troubled land. 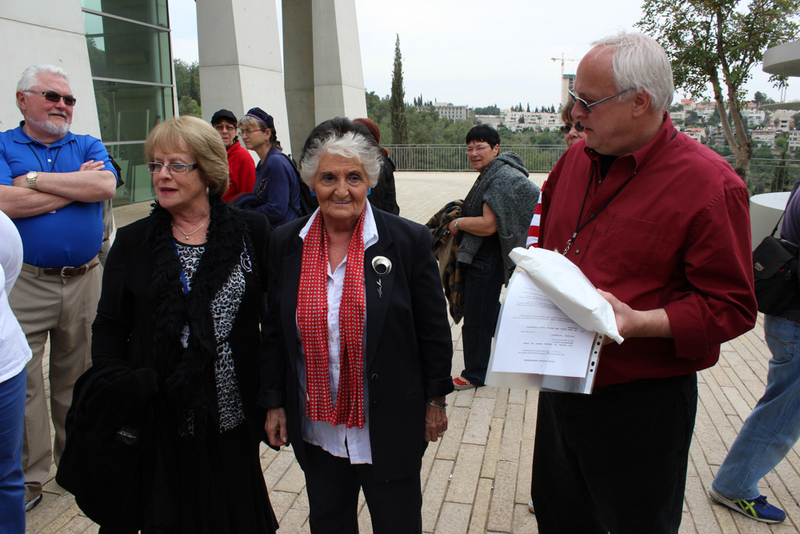 We returned to Yad Vashem, the place of remembrance where we had been a few days earlier for the state ceremony. Today we are privileged to be on a specially arranged guided tour of this memorial with Hazy Freund. She is a friend of Pastor Mark and is one of the best guides to take us though the exhibits on the grounds here on Mount Hertzel. It’s a lot to take in, but Hazy has a way of really condensing the history down to its most relevant and most powerful points. This is a very hard lesson today for our group. It is absolutely horrific what happened to the Jews and their friends during those dark days under the Nazi regime. 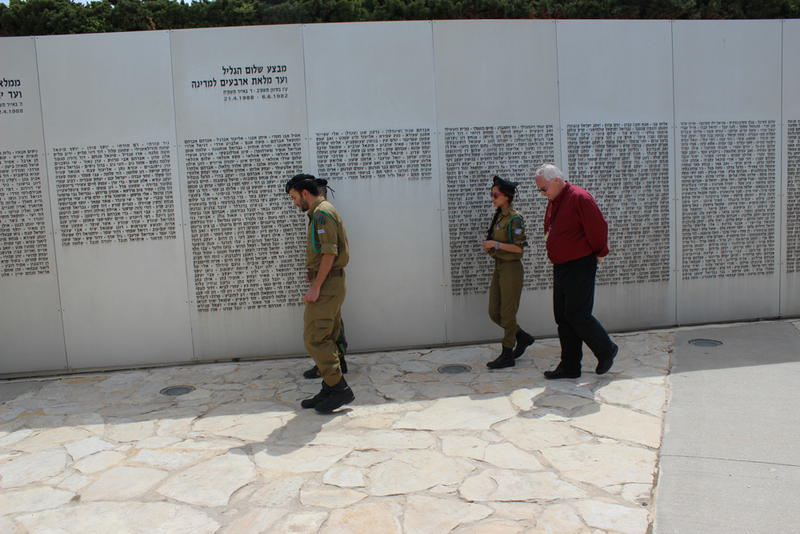 “We must never forget” – and that is part of the mission of Yad Vashem. And we know that the holocaust echoes in the genocide that is still carried out in places like the Sudan. Christians are dying today for their faith, many thousands each year. This is something that’s largely ignored by the Western press and even by the Church. Some of the same people who are persecuting Jews and Christians today are the ones who want to deny the holocaust ever happened. 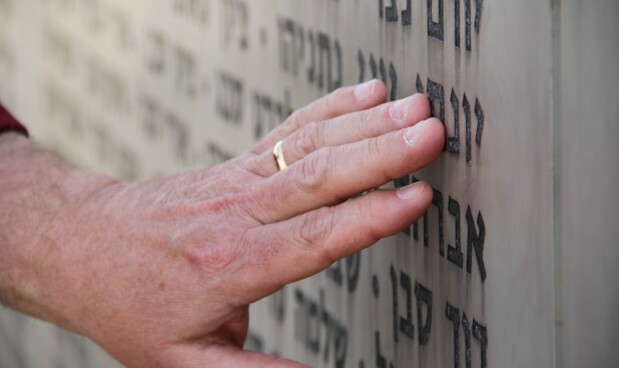 A lesson from Yad Vashem is that evil triumphs when good men do nothing. This is a depressing place, but a valuable lesson, as we emerge from the dreariness of the exhibits we step out into the light on a large platform that overlooks the city of Jerusalem. It is here that we discover hope. Here we see a city that was birthed out of the ashes of the holocaust, a vibrant city that says, “The land of Zion lives”. 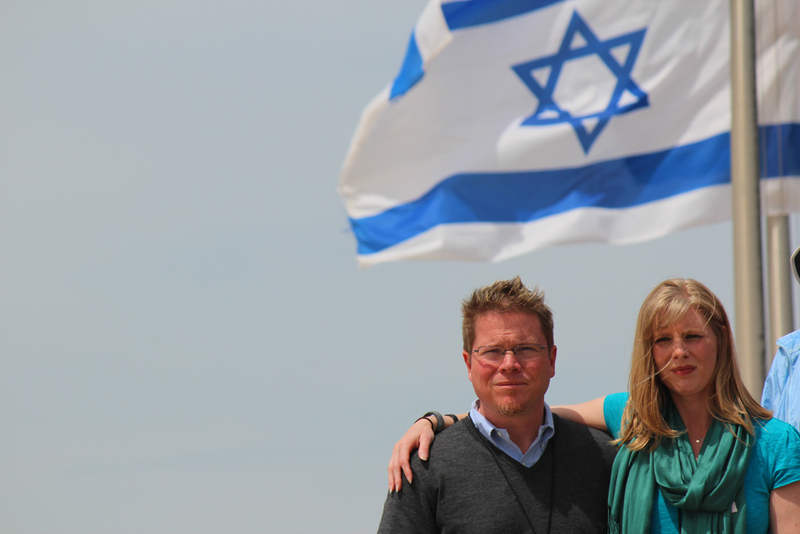 We began our Israel tour at Independence Hall, standing on the spot where Israel became a nation on that day in May 1948, and we also visited Masada, the last stronghold to fall to the Romans over 2000 years ago. In between, we have seen the struggle of the “people of the Book”. Throughout human history, 19 civilizations have come to power and each tried to crush the nation of Israel. 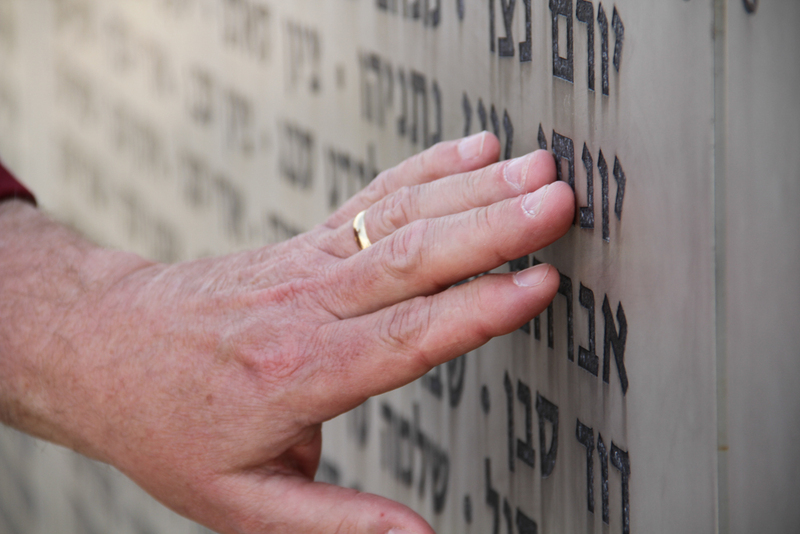 These civilizations have become merely a footnote in history, but the nation of Israel lives. 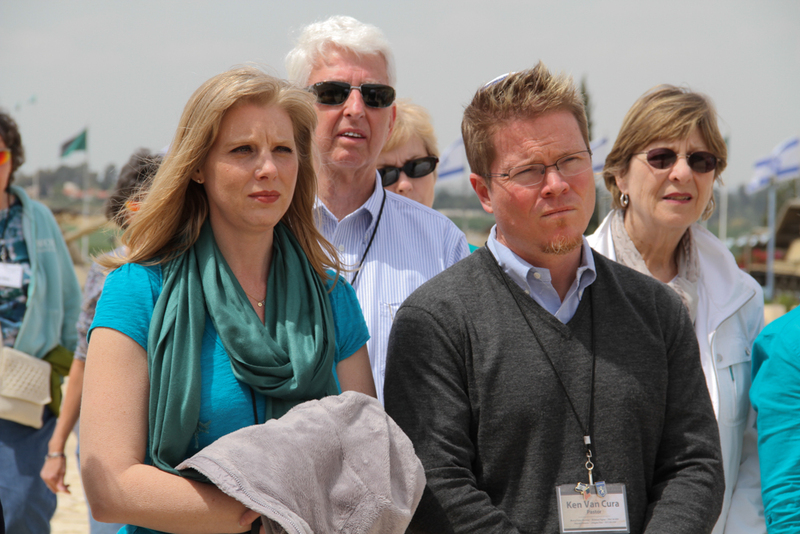 Traveling to Israel has reminded us that God is faithful to His Word and He keeps His promises. 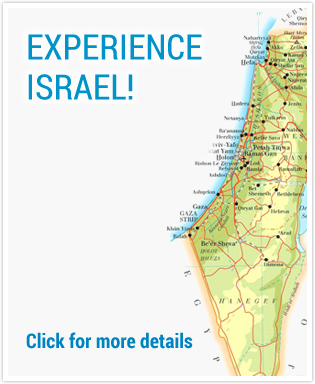 We have been encouraged as we have literally touched prophecy and we know that Israel has a place in our future..